The charge against Guo stemmed from his involvement in street actions in January 2013 to support the protest by Southern Weekly’s staff against editorial interference by Party officials. In addition, Guo and Sun are accused of planning “raising signs in the street” in eight cities in 2013. The nearly 18-hour trial ended without verdicts for the defendants. The Xinyu Intermediate People’s Court upheld the first-instance verdicts. Liu Ping (刘萍) and Wei Zhongping (魏忠平) were sentenced to six-and-a-half years in prison for “picking quarrels and provoking troubles” (寻衅滋事), “gathering a crowd to disrupt order in a public place” (聚众扰乱公共场所秩序), and “using an evil cult to undermine law enforcement” (利用邪教组织破坏法律实施). 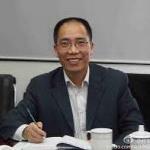 Li Sihua (李思华) was sentenced to three years in prison for “picking quarrels and provoking troubles” (寻衅滋事). The Beijing Municipal No. 1 Intermediate People's Court upheld the first-instance verdicts. The Yangpu District People's Court in Shanghai convicted the Shanghai petitioner of “obstructing office business” (妨害公务罪) and sentenced her t one year in prison. Upon hearing the verdict, Li shouted: “I am innocent, down with corruption, down with the Yangpu district court.” Li’s husband believed the verdict is a reprisal against Li's ongoing petitioning over the years. Beijing No. 1 Intermediate People's Court upheld the first-instance verdicts. See essays about Zhao Changqing. Liu Ping (刘萍) and Wei Zhongping (魏忠平) were sentenced to six and a half years in prison for “picking quarrels and provoking troubles” (寻衅滋事), “gathering a crowd to disrupt order in a public place” (聚众扰乱公共场所秩序), and “using an evil cult to undermine law enforcement” (利用邪教组织破坏法律实施). The families have decided to appeal. See more details on their conviction. For more information, see December 3-5, 2013 entry below. Lawyers for Ding Jiaxi, Zhao Changqing, and Zhang Baocheng said their clients will appeal. The Beijing Municipal No. 1 Intermediate People's Court upheld the first-instance verdict. Yuan was originally tried on January 27. He was convicted and sentenced to 18 months’ imprisonment for gathering a crowd to disrupt order in a public place on January 29. See January 27 below for details. 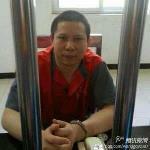 Beijing Higher People’s Court upheld the first-instance trial verdict of four years' imprisonment. Charge: gathering a crowd to disrupt order in a public place. Original trial on January 27 was adjourned after following the dismissal or withdrawal of defense counsel. April 8. Trial did not conclude, continued on April 9. Heavy police presence outside the court. At least five supporters were reportedly taken away after they tried to attend the trial, unfurled banners, or shouted slogans supporting Ding Jiaxi. Foreign diplomats attempted to enter but were told: "criminal cases are not open to observers." 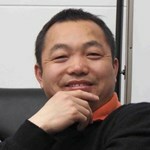 Police stopped Ding’s lawyer Sui Muqing from giving a press interview. Sui said he was punched twice by the police. Li Wei's parents attended the trial. None of Ding Jiaxi’s friends were allowed to observe the trial even though there were still empty seats. The judge did not allow any prosecution or defense witnesses to testify. April 9. Trial concluded without a verdict. One of Ding Jiaxi’s lawyers, Sui Muqing, and one of Li Wei’s lawyers, Jiang Yuanmin, left the court in protest of procedural issues. Original trial on January 27 was adjourned after Zhang dismissed his lawyers in protest of procedural problems. Trial adjourned after Ding and Li dismissed lawyers in protest of procedural problems, and one of Ding’s lawyers withdrew also in protest of procedural problems. Zhang’s trial adjourned after he dismissed his lawyers in protest of procedural problems. Yuan retained his defense counsel and was convicted of gathering a crowd to disrupt order in a public place and sentenced to 18 months’ imprisonment on January 29. 2.false declaration of registered capital (). Sentenced to three years in prison; completed sentence and released March 10, 2016. 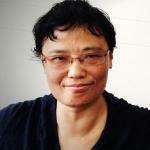 Trial adjourned after Zhao dismissed lawyers in protest of procedural problems. Charged with and convicted of gathering a crowd to disrupt order in a public place. Not sentenced to criminal punishment. Charged with and convicted of gathering a crowd to disrupt order in a public place (聚众扰乱公共场所秩序). Sentenced to four years' imprisonment. Ruling of second instance trial expected on April 11, 2014. Defense argumentfor second instance trial. Court rejected Lawyer’s request for an open second instance trial. Beijing Municipal Higher People’s Court upheld the first-instance trial verdict and sentence of four years' imprisonment, April 11, 2014. Trial concluded without a verdict. Charges (3): “illegal assembly” (非法集会), “gathering a crowd to disrupt order in a public place” (聚众扰乱公共场所秩序), and “using an evil cult to undermine law enforcement” (利用邪教组织破坏法律实施). Original trial on October 28 was adjourned after the defendants and their families terminated the client-lawyer relationship in protest of the court’s failure to guarantee the lawyers’ rights to defend the accused. Clockwise from upper left: Liu Yuandong (刘远东), Zhao Changqing (赵常青), Xu Zhiyong (许志永), Ding Jiaxi (丁家喜), Yuan Dong (袁冬), Hou Xin (侯欣), Li Wei (李蔚), Zhang Baocheng (张宝成).